Zhan-Zhuang Gong (stationary posture Qigong) is a traditional martial arts training which was originally used by practitioners to strengthen their sinews. It has since been discovered that this simple practice benefits one's body and mental well-being to a significant degree. It is now widely used as a method for improving your physical, mental, and energetic state. 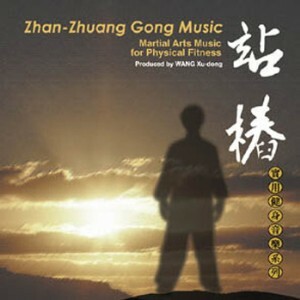 The soothing music can be played during Qigong, Meditation, or just to create an atomosphere of calmness without any purpose. Flute, Guzheng, Zun, Erhu, Pipa, Cellos, Violin & Bamboo flutes.